Learn how to create the best tie dye patterns for homemade gifts, what kind of things you can tie dye to make the most unique homemade gifts and how to make your tie dye super vibrant and colorful. 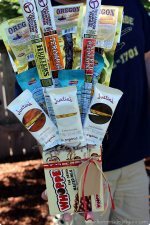 The following step-by-step tutorials will be useful to those looking for a unique homemade gift idea and also to those just wanting to learn how to tie dye. 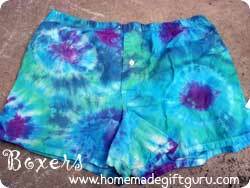 Tie dye patterns have a lot more possibility than some might think... 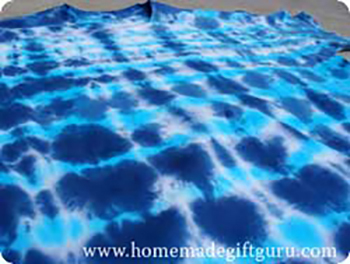 In addition to the classic spiral tie dye t shirt pattern, there are many other easy tie dye patterns (both simple and more intricate in style) to suit a variety of taste. 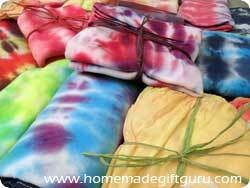 And for your crafty friends or for a unique homemade teen gift, you can make a tie dye kit, enclosing everything they need to make their own one-of-a-kind tie dye item (put something unique in there like white long johns, a pillow case or even underwear) so they can express themselves too! Wow, now aren't you excited? 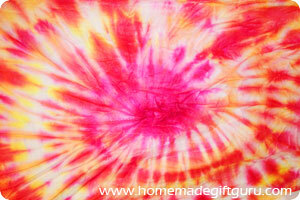 Have you got some ideas about what exciting stuff you could tie dye for your special someone(s)? Following you will find everything you need to know to create some fantastic tie dye patterns and projects... and of course, some homemade gifts to be proud of! 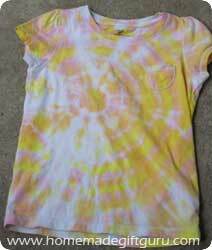 Probably the most well known tie dye pattern is the spiral tie dye t shirt. In Western culture, this look exploded in popularity in the late 60's and continues to be enjoyed to this day. 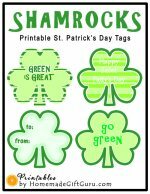 You can go with a vibrant rainbow color palette or do something a little less 60's by using just 2 or 3 complimentary colors. The circle tie dye technique is exciting like the spiral, however it's also much easier, more dependable and more predictable. 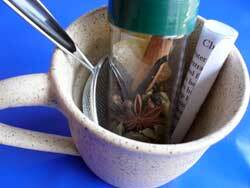 It's great for beginners and due to the ease and predictability, it's an excellent choice for homemade gifts. Use the circle tie dye technique for anything from tie dye shirts to tie dye socks. This next tie dye technique uses marbles to create a very special circular effect... it reminds me of little explosions of color! Here's a super fun tie dye technique that uses marbles. 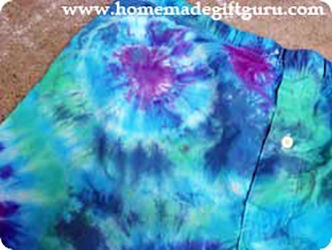 This unique tie dye technique can be used for simple and classy circles or fantastically wild explosions of color. 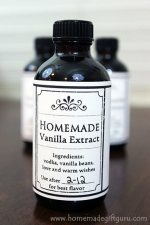 I love using this technique on pillow cases, boxer shorts, socks and scarves! Tie dying with pleats or rolls is another very easy tie dye technique. This pleated binding technique is especially great for thick fabrics and large fabrics. 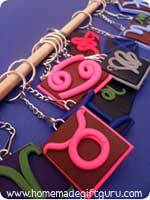 It is also more uniform and less 60's than the spiral and makes great tie dye tee shirts for guy gifts. In fact, the t-shirt shown was for my husband and he wore it to shreds. I have requests to make another for him using this technique. That's it for now on tie dye! ...Please be sure to share your tie dye projects and gifts here for others to get inspiration from... it's fun to share and I'd be honored to show off your pics! 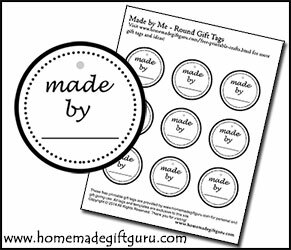 You may also like to print out some of these free printable tags I made JUST for homemade gifts!